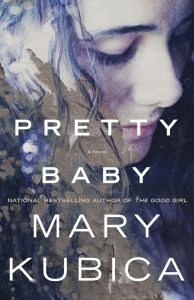 Mary Kubica’s Pretty Baby opens with cold rain and wind buffeting a frail, lost-looking girl and a tiny baby: “The first time I see her, she is standing on Fullerton Station…clutching an infant in her arms.” The hook is irresistible. Heidi, who watches them helplessly, is overwhelmed by the feeling that she must “do something”. As readers, we feel apprehensive not only for the girl and baby but for Heidi herself. Although she is consumed by her desire to save them, she also has a foreboding that taking home these particular stray kittens could turn out to be a very bad idea. Heidi’s narrative alternates with those of her investment banker husband, Chris, and of the girl herself, Willow, whose own life story gradually emerges. The horrors she has suffered in brutal foster care complicate and darken the narrative. Before long we know that Willow has told many lies and is “in a lot of trouble”, but we don’t know why. Is she purely a victim or is she also a dangerous transgressor? Can she be saved or will her past, catching up with her, destroy the family who take her in? Heidi’s character and motives are altruistic – a manifestation, Chris reflects wearily, of her determination to help “every neglected, mistreated, overlooked, ignored, abandoned, forgotten, emaciated, abused, derelict creature on God’s green earth.” But she is also driven by her own inner demons and desperation, and we come to suspect that there is something perversely possessive in her rescue mission. Kubica’s well-plotted novel is a taut, suspenseful psychological thriller. It plays inventively with some of the most compelling ingredients of domestic noir – obsession, secrets and deceptions, distrust, marital disharmony, claustrophobic domestic space, and psychological disintegration. A thoroughly engrossing read.